I have always tried to look beyond what I was expected to be to what I wanted to be. If something interested me, I jumped in with both feet – I still do. Because of this I have been able to achieve expertise in several diverse occupations. The articles and books I write pass on this knowledge and experience to those who also seek to become all they are destined to be. As an aviation weather briefer I have a lot of knowledge of weather in general. 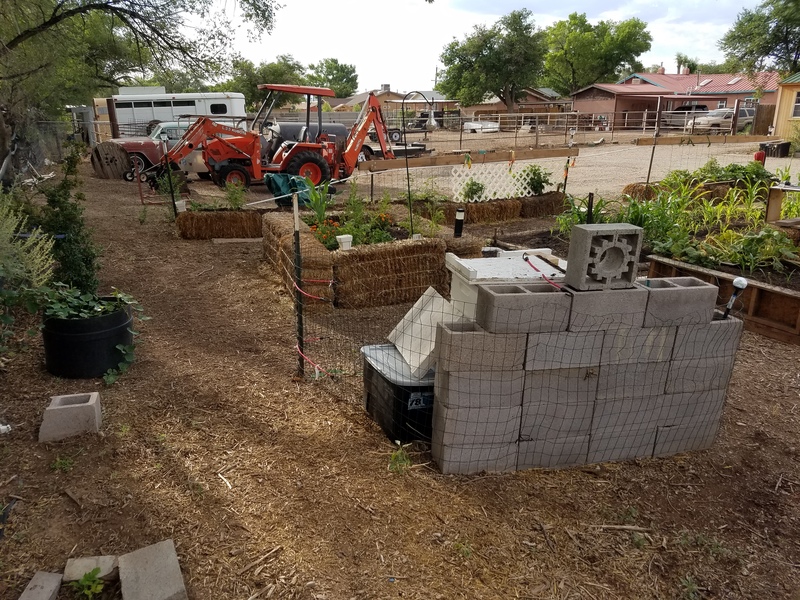 When I started gardening in the High Desert I discovered that paying attention to weather variations and creating microclimates made a huge difference in how well my garden does. High Desert gardening combines a dry climate with the effects of high altitude on plants and animals. In any given high desert area you can have wildly varying climates within a 30 mile radius. In the big scheme of things winds generally flow from west to east across the United States, but mountains can deflect that activity. Most valleys will be colder and moister than the plains. Take New Mexico for instance. Most rain is carried to New Mexico on winds above 20,000 feet from the Pacific Ocean – a long way to travel, so the city may be dry for 6 to 8 months of the year. Only from July to mid-September do the weather patterns alter – a Low Pressure over the Baja combined with a High Pressure on the Gulf forces moisture to collide from both directions over New Mexico. This moisture does not flow in frontal activity – rather it drifts in at 14,000 feet or above and hangs invisibly as humidity until early afternoons when heat flows from the desert up the mountains and pierces the layers of moisture laden air up above, generating thunderstorms. The storms are driven by the steering winds at upper altitudes – never in the exact same direction each day. So from dawn to 11am you have clear skies. From 11am to 2pm you see fast upward development of fluffy cumulus, from 2pm to sunset there will be thunderstorms somewhere in the state – then at sunset the storms dissipate back into the atmosphere. The airport at Albuquerque, New Mexico sits at 5,355 feet above sea level – over a mile. Areas of the city are as low as where I live in the Rio Grande valley at 4,980 feet, to the foothills out east at 6,000 feet. The top of the mountain on the east side is 10,678 feet. The first challenge to new residents is the reduced amount of oxygen here, the second is the thinner blanket of air between us and the sun. Many seed packages – like tomatoes – state unequivocally that these plants must be given full sun in order to grow the best. The people writing these instructions are mostly from places like Michigan, Iowa or maybe Maine. Even in totally clear skies, those places have 5,000 feet more air between the ground and the sun – which is HUGE. When I first came to Albuquerque I went to my daughter’s Little League game one day wearing a swimsuit top and shorts and a hat. The temperature was a nice 75 degrees. Back in Indiana I never bothered with sunscreen, so I didn’t think I would need it here. I sat with the sun at my back for about 2.5 hours – and slept on ice packs for the next two days. The blistering was my first lesson in the effects of thin air on living surfaces. Another effect is that thin air does not retain heat like the air at lower altitudes. Temperatures can soar into the mid 90’s during the day, but every night they drop into the 60’s and sometimes lower. In winter conditions this means that except when a rogue front drops in, the coldest nights will drop below freezing, but the temperature will normally surge up into the 50’s and 60’s during the days. Most high desert residents deliberately create drought tolerant landscaping around their homes, but some of us like to be able to grow our own vegetables. With all these extremes in temperature and moisture, the best chance for success you can give your plants is to create microclimates which help to even out the growing environment. 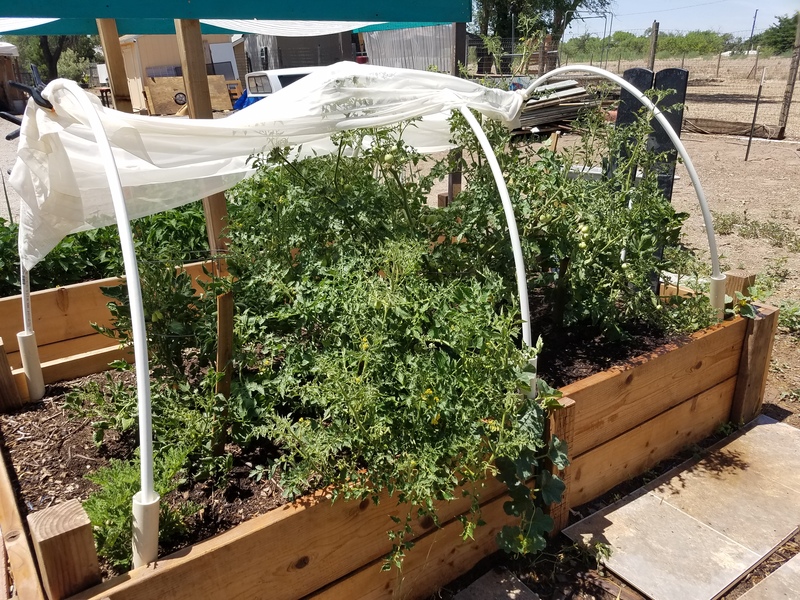 This year I put up a canopy above my tomato and green chili beds. A control bed next to it had no canopy. They were equally watered. The beds that got shade for a portion of the day produced far larger more prolific plants. This is also beneficial when you get that rogue thunderstorm with large hail – not as much damage occurs. My onsite weather station has measured some of the spring winds here at 40+ mph. Observing this I set up several “wind blocks” on the west side of my plants. The wire fencing on the west side of the house now has plastic trellising to help block the force. I set up a four foot cinderblock wall that is only six feet wide a couple feet west of my beehive for the same reason. It also mitigates heat from the late afternoon sun. 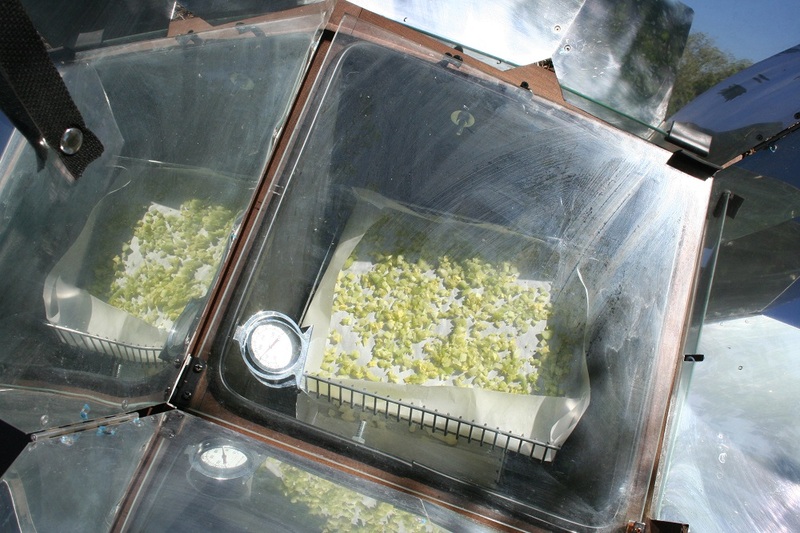 Creating a microclimatic environment can also help plants get started early in the spring. I used six straw bales set up like a box, then filled the box about 2 feet deep with dirt and compost. I’d started broccoli and cabbage from seed in February and by april they were almost 10 inches tall. I have now put them into strawbale raised bed and expect to be eating broccoli in June. The nice part is that when it threatens to go below freezing for a long period of time you can throw a blanket on top. This should work during the winter for any of the brassicas and many root crops. After harvesting the broccoli I will add another 6 inches of compost then plant green beans. Use your observations from this year’s growing season to plan for next year – and create your own microclimates! 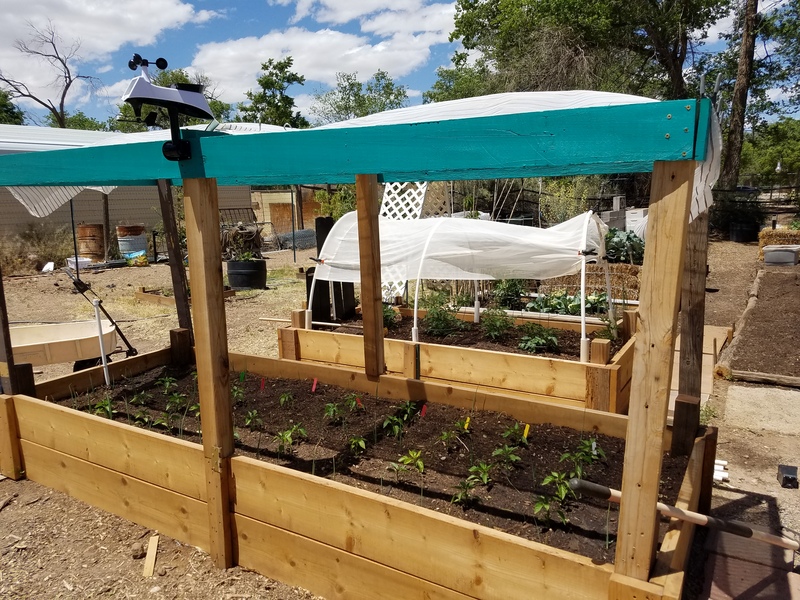 Rose Marie will be giving a more detailed presentation on climate and microclimates for gardeners at the Albuquerque Garden Center on April 23rd at 1pm. This is a Master Gardener presentation that is open to the public. 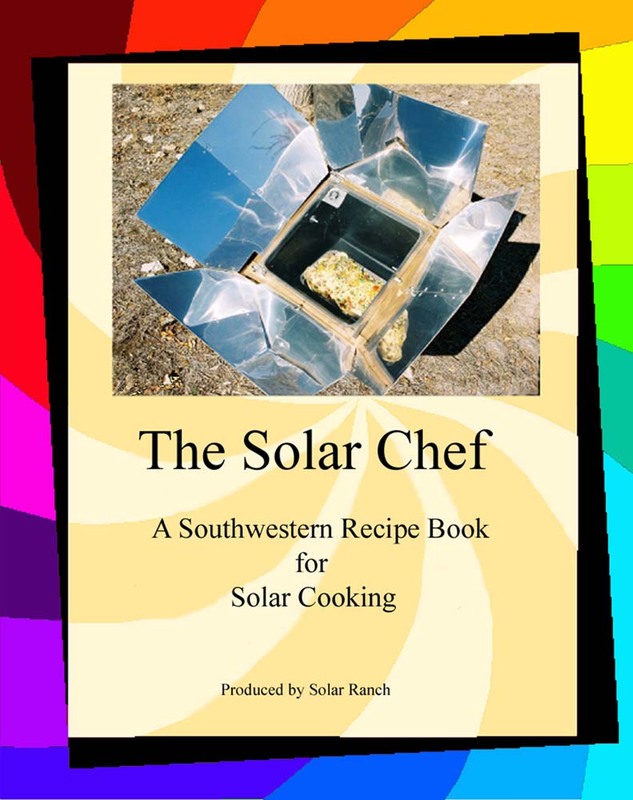 Solar Cooking and Food Dehydration Event was awesome! Click Here for more information or to view the Presentation!